When it comes to the joyful and magical Christmas season, plenty of classic Christmas movies come to our mind such as; “The Grinch”, “The Santa Clause”, “Scrooged”, “Home Alone”, “Elf” and so on! It is always great to watch classic Christmas movies with the ones you love during this jolly times since these good ol’ Christmas movies can easily be found on YouTube, in DVD stores, or on TV, as they will definitely be shown during this festive week. However, we have already seen them all (sometimes even countless of times on repeat) and can almost recall all the memorable lines in those films, thus making the routine almost lacking in holiday excitement. While it is good to maintain the Christmas movie routine every year, it is also nice once in a while to stray from the usual tradition. Instead of watching the movies you’ve already watched a dozen of times at home, why not spend the Christmas week with your loved ones at your nearest cinema by watching the latest family film of 2014. Directed by Miguel Arteta, the film stars Ed Oxenbould as Alexander while Steve Carell, Jennifer Garner, Dylan Minette and Keris Dorsey star as the rest of the Cooper family members. Based on Judith Viorst's 1972 children's book of the same name, the film is an enjoyable hilarious film perfect for the whole family to watch during Christmas as it depicts the teamwork and bonding spirit between a family. Also, the film proves that no matter how ‘terrible, horrible, no good, very bad day’ you could have, a family will always stick together. 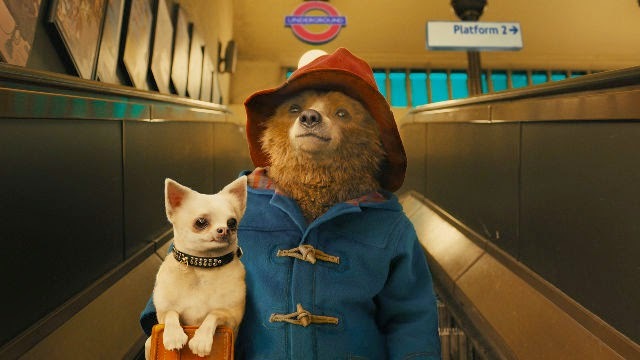 Based on Michael Bond’s fictional character from his beloved children’s literature, Paddington Bear, the film follows the wonderful journey of a young Peruvian bear named Paddington. After finding himself lost and alone in London, Paddington is taken in briefly by the kind and loving Brown family. However, Paddington also catches the eye of an evil museum Taxidermist, Millicent. The cute and cuddly bear is voiced by English actor Ben Whishaw while Nicole Kidman plays the evil Millicent. Hugh Bonneville, Sally Hawkins, Madeleine Harris and Samuel Joslin play the Brown family. The film is a warm-hearted piece that lifts up the family spirit during this festive season. It will make you and the whole family go ‘awww’ countless of times. It is a perfectly charming, touching and genuinely funny film that is suitable for all ages and is especially great to watch during Christmas. 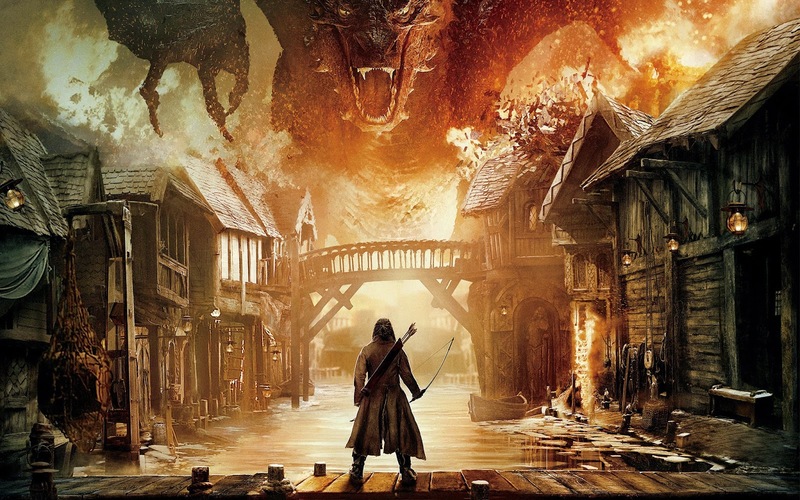 The film is the third instalment and the finale of “The Hobbit” series based on J. R. R. Tolkien’s “The Hobbit”. The film continues from the second film, “The Hobbit: The Desolation of Smaug” where Bilbo and the gang are forced to engage in the great battle of the five armies while at the same time preventing the dragon Smaug from wiping out all of Middle-Earth. The film stars Martin Freeman, Ian McKellen, Richard Armitage, Evangeline Lilly, Lee Pace, Luke Evans, Benedict Cumberbatch, Ken Stott and James Nesbitt which also features Cate Blanchett, Ian Holm, Christopher Lee, Hugo Weaving and Orlando Bloom. Directed by Peter Jackson, this epic fantasy film will get your eyes glued to the screen and will fill your heart with otherworldly excitement as a perfect Christmas adventure for you and your family to enjoy during this magical month. The third and final film from the “Night at the Museum” trilogy is directed by Shawn Levy. 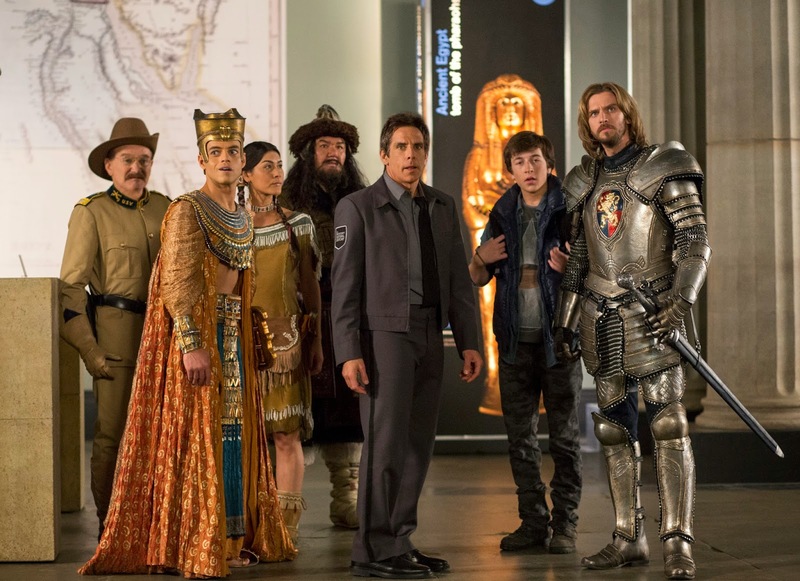 The film stars Ben Stiller as Larry Daley who journeys to London to find the Secret of the Tomb after finding out that the Magic Tablet which keeps everything in the museum alive, is running out of power, and if the power runs out, everyone in the museum will turn to dust. The film has Robin Williams (in his final role), Owen Wilson, Steve Coogan, Rami Malek, Mizuo Peck and Patrick Gallagher reprising their roles with an additional cast made up of Dan Stevens, Rebel Wilson and Ben Kingsley. This is another adventure based film that will take you on a magical journey to the wonderful city of London and into the historical British Museum. This comedy teaches you the importance of friendship and trust and it brings joy and laughter to the whole family. Also, it is the final film for you to see Robin Williams on screen. Also known as “Le père Noël” which is a heart-warming French film directed by Alexander Coffre, starring Tahar Rahim and Victor Cabal as the main lead, the film focuses on Antoinne, a six-year-old boy who desperately wants to meet the Father of Christmas. So, when a man dressed as Santa lands on his balcony, Antoinne becomes ecstatic and immediately believes the man to be the real Santa Clause. However the man apparently turns out to be a robber who steals from house to house. Determined to follow the fake Santa, the duo then embarks on an exciting adventure on Paris rooftops. A fun and comical film filled with sugary sweetness that reminds you the nostalgic memories and innocence of childhood. The film shows the bonding between two different individuals with dreams of their own who learn to co-operate with each other and learn the true magic of Christmas.